City leaders and GateWay Community College administrators gathered at the Surprise-GateWay Training Center today to officially cut the ribbon on the new 13,100 square foot facility. 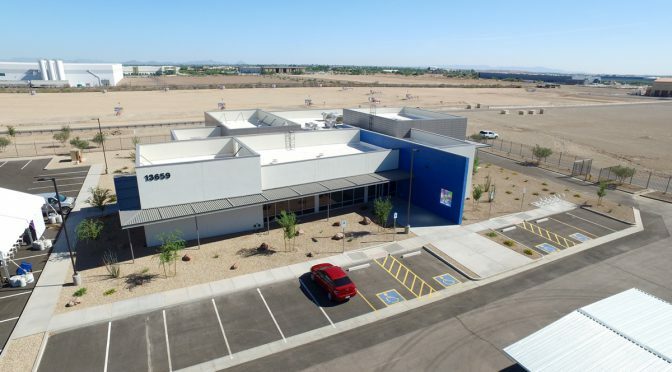 The observation-centric training facility provides individuals interested in pursuing careers in the water and wastewater professions new opportunities for hands-on learning in the West Valley. In addition to training space, the center provides mission critical labs and assembly facilities for city water professionals. The center is located on the grounds of the South Plant (SPA1) Water Reclamation Facility; a facility that currently processes over 8 million gallons of water per day making it a logical location for practical learning. For more information about the training center, call 623.222.6000. I’m looking forward to the opening of the West-MEC Northwest Campus in August 2017! 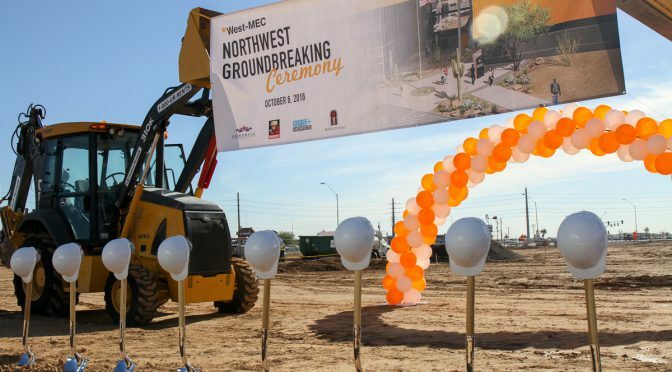 The facility at Grand and Dysart will train high school students and adults a variety of career programs including cyber security, medical assisting and law and public safety. This photo was taken at the groundbreaking event in fall 2016. I love going to our city’s great events and meeting residents! 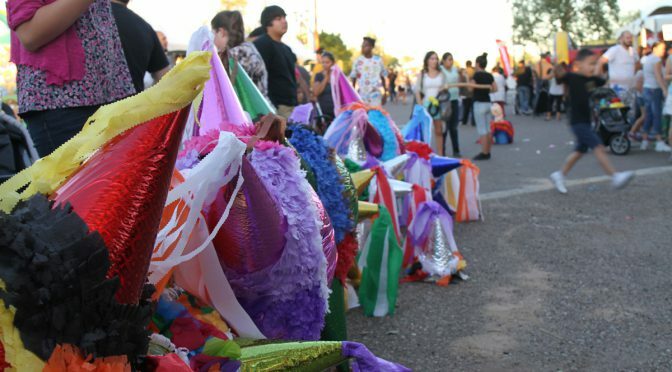 This photo was taken at the October 15th Surprise Fiesta Grande street-festival event in District 4. Great music, food and people! Can’t wait for the 2017 event!